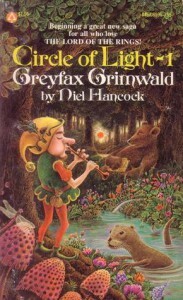 I remember reading this series in those halcyon days of youth 20 or 30 years ago (give or take 5 years) and being quite enchanted with it. I tried rereading it about 10 years ago, I suppose, and somewhere the "magic" had disappeared. It just wasn't nearly as good as I remembered it, sadly. But I'm still giving it three stars (I liked it) in memory of that 12-year-old kid who was ensorcelled.